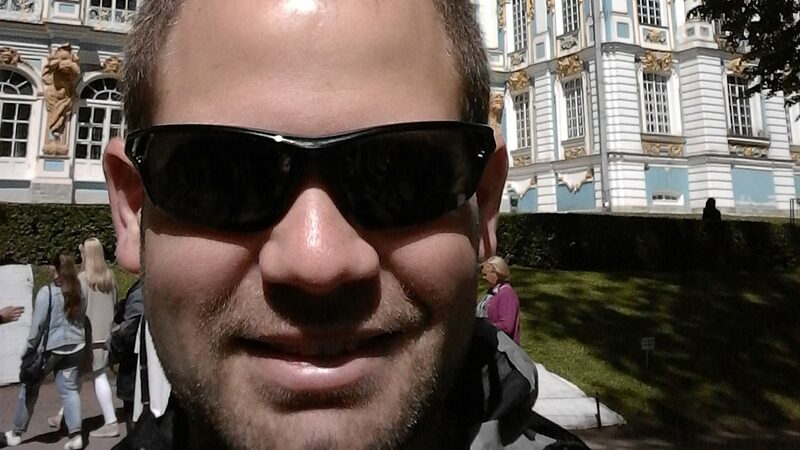 As an academic advisor with the Poole College of Management and Ph.D. candidate in the College of Education, Brian A. Peters encourages students he advises to study abroad, understand issues in a global context, and connect with international scholars to find potential solutions beyond the U.S.’s borders. Wanting to practice what he preached, Peters attended the Vth International Summer School on Higher Education Research held June 10-16 in St. Petersburg, Russia. “As we continue to have a more interconnected world, it is important to understand the issues in the United States in a larger global context,” said Peters, who has worked at NC State for about six years and been a Ph.D. student in educational research and policy analysis since 2013. Students also presented their research on topics related to social justice in higher education. Peters presented on his dissertation research that explores Native American college choice in North Carolina. In the following edited Q&A, Peters shares more on what he got out of the experience and why such opportunities will prepare him for his post-Ph.D. career. Why did you participate in the V International Summer School? We often consider issues and problems from a limited, in-country perspective. The Summer School program helped me think about how I can make research more inclusive for academic discussions globally. How do the issues and concerns I’m researching connect to research globally? How can I title my papers to attract readers outside the United States? Are there scholars outside the United States that I could collaborate with on this project? By broadening my perspective, I believe I will be a better scholar and have a more global mindset in my daily work. The Summer School focused on “Higher Education and Social Equality.” What did you learn about that topic? I now have a deeper understanding of how the systems of higher education we have created can perpetuate inequalities. Higher education is seen as a means to increase one’s human and social capital but our systems can continue the same current inequities in society. To solve these issues, we must look at higher education from a micro and macro perspective to ensure equitable access and opportunity to students and advocate for free and equal societies. How does this experience inform your Ph.D. studies and prepare you for what’s next? Many of the theoretical underpinnings of the week’s seminar relates to my dissertation, so it was great to explore these topics further for my own personal understanding. For the future, I have connections with scholars in other countries that I can collaborate with based on similar research interests. From a global perspective, studying in a different country and learning the perspectives and cultures of different countries widens your own views. I now feel like I have a broader perspective on the field of higher education that will influence my future research as well as my daily practice. What are your future plans once you complete your Ph.D.? I’ll consider multiple career trajectories. I may go the faculty route or stay within academic administration. If I stay within administration, I hope to teach as a visiting professor while serving the institution. Lastly, I have become increasingly interested in working in educational policy. I may work for a higher education policy organization or run for political office to have more say on higher education within North Carolina and the United States. Why did you choose to complete your Ph.D. at the NC State College of Education? The College of Education provided me the opportunity to study in a Ph.D. program while still gaining experience in the workforce. I liked the program’s emphasis on diversity, student success, strong academics and scholarship, and my wife, Brooke Peters ’13MED [a visitor relations specialist at the Hunt Library], is an alumna. More importantly, the College of Education grants opportunities to students. From allowing Ph.D. students to teach alongside faculty to financial support, the college provides opportunities for students to explore their areas of interests. I received financial support for my dissertation and to attend the Vth Annual Summer School experience in Russia. These opportunities are adding to my educational experience and opening future opportunities that I may not have received at a different institution.